Named after the Japanese word for fantasy, this Vancouver group began its life as an Art Blakey tribute band and has since become one of the country’s finest original ensembles. 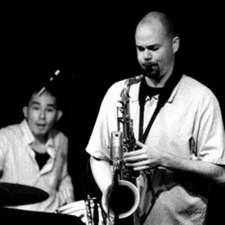 Co-led by drummer Bernie Arai and saxophonist Jon Bentley, the group’s repertoire features compositions by all of its members as well as jazz classics. With a hard-bop front line of trumpet, tenor sax, and trombone, this band smokes!